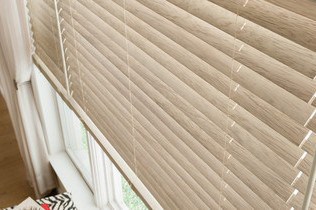 Composite blinds or faux wood blinds give you the desired look of wood with the extra durability needed in rooms like kitchens, bathrooms, and laundry rooms, making them perfect for high humidity areas where natural wood is not recommended. 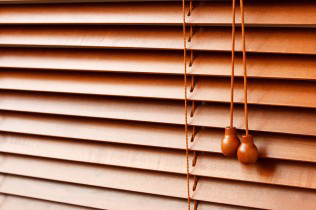 Boise Blinds has taken care of the hard part when it comes to wood blinds. We’ve sourced superior materials with unparalleled craftsmanship so you can focus on the details and touches that will become the perfect addition to your home or office. Our wood blinds can cater to your home or office decor – from traditional to contemporary, our blinds will add warmth and beauty! 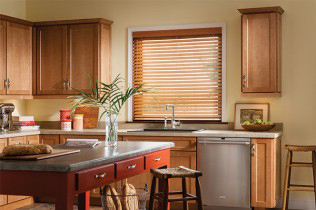 Faux wood blinds can match the color and grain perfectly, but they withstand moisture better and are easier to clean. Faux Wood Blinds provide you with a less expensive, durable, and easy-to-clean option that can withstand moisture! You won't have to give up the look and feel of wood to find the best fit for each room in your home.